Doğal bağışıklık polimorfnükleer lökosit, monosit, makrofaj, eozinofil granülosit, mast hücresi ve bazofil granülüsit gibi özelleşmiş hücrelerden ve moleküllerden meydana gelir. Mikrobiyal saldırılara karşı bu hücrelerin bazıları fagositoz yaparak inflamatuvar yanıtı başlatırlar ve organizmanın ilk koruma hattını oluştururlar. Organizmada, bu inflamatuvar yanıta, kalıtımsal olarak aktarılan, patojen tanıyan reseptörlerin (PRR) uyarılması da katkı verir. PRR’ler hem mikrobiyal patojenle ilişkili moleküler kalıpları (PAMP) tanırlar, hem de doku hasarı ve nekrotik hücre ölümü gibi stres faktörleri altında kalan organizmanın kendisi tarafından salgılanan maddelere immun reaksiyon gösterirler. PRR’ler birçok alt tipe ayrılır, bunlar içerisinde en iyi tanımlananlar Toll Benzeri Reseptörlerdir (Toll Like Receptors, TLR). İnsanlarda 10 (TLR1–TLR10), farelerde ise 12 (TLR1–TLR9, TLR11–TLR13) farklı TLR tanımlanmıştır. TLR’ler hücre yüzeyine veya endozom, lizozom, endolizozom gibi hücre içi kompartımanlara lokalize olurlar. 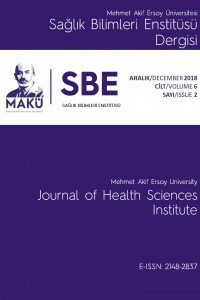 Bu moleküller makrofaj ve dendritik hücreler gibi immun sistem hücrelerinin yanında fibroblast ve epitel hücreleri gibi immun sistem dışındaki hücrelerde de eksprese edilebilir. TLR’ler kendileriyle homodimer şeklinde veya koreseptörleri ve aksesuar molekülleriyle heterodimer oluştururlar. Hücre yüzeyinde bulunan TLR’ler öncellikle lipid, lipoprotein, protein gibi mikrobiyal membran bileşenlerini tanırlar. Buna karşın hücre içindeki TLR’ler bakteri ve virüs orjinli nükleik asitleri algılarlar. Ayrıca vücudun kendi nükleik asitlerini tanıyıp otoimmun hastalıklara neden olabilirler. TLR’ler organizmada hemen hemen bütün sistemlerde immun sistem hücreleri ile birlikte diğer bazı hücrelerde ekspresyon gösterirler. Son yıllarda yapılan çalışmalarla, kanser ve otoimmun hastalıkların patogenezinde TLR’lerin rolü olduğu gösterilmiştir. İlerleyen yıllarda bu reseptörlere karşı kullanılan agonist veya antogonistlerin belirtilen hastalıkların sağaltımında faydalı olabileceği düşünülmektedir. Abreu MT, Vora P, Faure E, ve ark. 2001. Decreased expression of Toll-like receptor-4 and MD-2 correlates with intestinal epithelial cell protection against dysregulated proinflammatory gene expression in response to bacterial lipopolysaccharide. J Immunol. 167(3): 1609-1616. Abreu MT. 2010. Toll-like receptor signalling in the intestinal epithelium: how bacterial recognition shapes intestinal function. Nat Rev Immunol. 10(2): 131-144. Aflatoonian R, Tuckerman E, Elliott SL, ve ark. 2007. Menstrual cycle-dependent changes of Toll-like receptors in endometrium. Hum Reprod. 22(2): 586-593. Akira S, Takeda K. 2004. Toll-like receptor signalling. Nat Rev Immunol. 4: 499-511. Andersen JM, Al-Khairy D, Ingalls RR. 2006. Innate Immunity at the Mucosal Surface: Role of Toll-Like Receptor 3 and Toll-Like Receptor 9 in Cervical Epithelial Cell Responses to Microbial Pathogens. Biol. Reprod. 74(5): 824-831. Andrade WA, Souza Mdo C, Ramos-Martinez E, ve ark. 2013. Combined action of nucleic acid-sensing Toll-like receptors and TLR11/TLR12 heterodimers imparts resistance to Toxoplasma gondii in mice. Cell Host Microbe. 13(1): 42-53. Beutler B. 2004. Inferences, questions and possibilities in Toll-like receptor signalling. Nature. 430: 257-263. Beutler B, Jiang Z, Georgel P, ve ark. 2006. Genetic analysis of host resistance: Toll-like receptor signaling and immunity at large. Annu. Rev. Immunol. 24: 353-389. Bhushan S, Tchatalbachev S, Klug J, ve ark. 2008. Uropathogenic Escherichia coli block MyD88-dependent and activate MyD88-independent signaling pathways in rat testicular cells. J Immunol. 180(8): 5537-5547. Bin LH, Xu LG, Shu HB. (2003). TIRP, a novel Toll/interleukin-1 receptor (TIR) domain-containing adapter protein involved in TIR signaling. J Biol Chem. 278(27): 24526-24532. Blasius AL, Beutler B. 2010. Intracellular toll-like receptors. Immunity. 32(3): 305-315. Botos I, Segal DM, Davies DR. 2011. The structural biology of Toll-like receptors. Structure. 19(4): 447-459. Bowman CC, Rasley A, Tranguch SL, ve ark. 2003. Cultured astrocytes express toll‐like receptors for bacterial products. Glia. 43(3): 281-291. Broz P, Monack DM. 2013. Newly described pattern recognition receptors team up against intracellular pathogens. Nat Rev Immunol. 13(8): 551-565. Bsibsi M, Ravid R, Gveric D, ve ark. 2002. Broad expression of Toll-like receptors in the human central nervous system. J Neuropathol Exp Neurol. 61(11): 1013-1021. Burns K, Janssens S, Brissoni B, ve ark. 2003. Inhibition of interleukin 1 receptor/Toll-like receptor signaling through the alternatively spliced, short form of MyD88 is due to its failure to recruit IRAK-4. J Exp Med. 197(2): 263-268. Cario E, Podolsky DK. 2000. Differential alteration in intestinal epithelial cell expression of toll-like receptor 3 (TLR3) and TLR4 in inflammatory bowel disease. Infect Immun. 68(12): 7010-7017. Carty M, Goodbody R, Schröder M, ve ark. 2006. The human adaptor SARM negatively regulates adaptor protein TRIF-dependent Toll-like receptor signaling. Nat Immunol. 7(10): 1074-1081. Celhar T, Magalhaes R, Fairhurst AM. 2012. TLR7 and TLR9 in SLE: when sensing self goes wrong. Immunol Res. 53: 58-77. Chen K, Xiang Y, Yao X, ve ark. 2011. The active contribution of Toll-like receptors to allergic airway inflammation. Int Immunopharmacol. 11(10): 1391-1398. Coban C, Igari Y, Yagi M, ve ark. 2010. Immunogenicity of whole-parasite vaccines against Plasmodium falciparum involves malarial hemozoin and host TLR9. Cell Host Microbe. 7(1): 50-61. Ewald SE, Engel A, Lee J, ve ark. 2011. Nucleic acid recognition by Toll-like receptors is coupled to stepwise processing by cathepsins and asparagine endopeptidase. J Exp Med. 208(4): 643-651. Fichorova RN, Cronin AO, Lien E, ve ark. 2002. Response to Neisseria gonorrhoeae by cervicovaginal epithelial cells occurs in the absence of toll-like receptor 4-mediated signaling. J Immunol. 168(5): 2424-2432. Fitzgerald KA, Rowe DC, Barnes BJ, ve ark. 2003. LPS-TLR4 signaling to IRF-3/7 and NF-κB involves the toll adapters TRAM and TRIF. J Exp Med. 198(7): 1043-1055. Fukui R, Saitoh S, Matsumoto F, ve ark. 2009. Unc93B1 biases Toll-like receptor responses to nucleic acid in dendritic cells toward DNA-but against RNA-sensing. J Exp Med. 206(6): 1339-1350. Garcia-Cattaneo A, Gobert FX, Müller M, ve ark. 2012. Cleavage of Toll-like receptor 3 by cathepsins B and H is essential for signaling. Proc Natl Acad Sci U S A. 109(23): 9053-9058. Girling JE, Hedger MP. 2007. Toll-like receptors in the gonads and reproductive tract: emerging roles in reproductive physiology and pathology. Immunol Cell Biol. 85(6): 481-489. Ghasemi N, Amjadi F, Salehi E, ve ark. 2014. Expression of Toll-like receptors 7-10 in human fallopian tubes. Iran J Reprod Med. 12(6): 389-394. Goethals S, Ydens E, Timmerman V, ve ark. 2010. Toll‐like receptor expression in the peripheral nerve. Glia. 58(14): 1701-1709. Hanke ML, Kielian T. 2011. Toll-like receptors in health and disease in the brain: mechanisms and therapeutic potential. Clin Sci (Lond). 121(9): 367-387. Herath S, Williams EJ, Lilly ST, ve ark. 2007. Ovarian follicular cells have innate immune capabilities that modulate their endocrine function. Reproduction. 134(5): 683-693. Hoffmann JA. 2003. The immune response of Drosophila. Nature. 426: 33-38. Horng T, Barton GM, Flavell RA, ve ark. 2002. The adaptor molecule TIRAP provides signalling specificity for Toll-like receptors. Nature. 420(6913): 329-333. Jack CS, Arbour N, Manusow J, ve ark. 2005. TLR signaling tailors innate immune responses in human microglia and astrocytes. J Immunol. 175(7): 4320-4330. Janeway CA, Medzhitov R. 2002. Innate immune recognition. Annu Rev Immunol. 20: 197-216. Kawai T, Akira S. 2010. The role of pattern-recognition receptors in innate immunity: update on Toll-like receptors. Nat Immunol. 11(5): 373-384. Koblansky AA, Jankovic D, Oh H, Hieny S, ve ark. 2013. Recognition of profilin by Toll-like receptor 12 is critical for host resistance to Toxoplasma gondii. Immunity. 38(1): 119-130. Kumar H, Kawai T, Akira S. 2011. Pathogen recognition by the innate immune system. Int. Rev. Immunol. 30(1): 16-34. Kutikhin AG, Yuzhalin AE, 2015. Editorial: Pattern recognition receptors and cancer. Front Immunol. 6: 481. Lafferty EI, Qureshi ST, Schnare M. 2010. The role of toll-like receptors in acute and chronic lung inflammation. J Inflamm (Lond). 7(1): 57. Lee BL, Moon JE, Shu JH, ve ark. (2013). UNC93B1 mediates differential trafficking of endosomal TLRs. Elife. 19: 2:e00291. Lee SM, Kok KH, Jaume M, ve ark. 2014. Toll-like receptor 10 is involved in induction of innate immune responses to influenza virus infection. Proc Natl Acad Sci U S A. 111(10): 3793-3798. Lehnardt S, Lachance C, Patrizi S, ve ark. 2002. The toll-like receptor TLR4 is necessary for lipopolysaccharide-induced oligodendrocyte injury in the CNS. J Neurosci. 22(7): 2478-2486. Lehnardt S, Henneke P, Lien E, ve ark. 2006. A mechanism for neurodegeneration induced by group B streptococci through activation of the TLR2/MyD88 pathway in microglia. J Immunol. 177(1): 583-592. Lemaitre B, Nicolas E, Michaut L, ve ark. 1996. The dorsoventral regulatory gene cassette spätzle/Toll/cactus controls the potent antifungal response in Drosophila adults. Cell. 86(6): 973-983. Lin X, Fang D, Zhou H, ve ark. (2013). The expression of Toll-like receptors in murine Müller cells, the glial cells in retina. Neurol Sci. 34(8): 1339-1346. Mathur R, Oh H, Zhang D, ve ark. 2012. A mouse model of Salmonella typhi infection. Cell. 151(3): 590-602. Medzhitov R, Janeway CA Jr. 2002. Decoding the patterns of self and nonself by the innate immune system. Science. 296(5566): 298-300. Narayanan KB, Park HH. 2015. Toll/interleukin-1 receptor (TIR) domain-mediated cellular signaling pathways. Apoptosis. 20(2): 196-209. Oldenburg M, Krüger A, Ferstl R, ve ark. 2012. TLR13 recognizes bacterial 23S rRNA devoid of erythromycin resistance–forming modification. Science. 337(6098): 1111-1115. Oshiumi H, Sasai M, Shida K, ve ark. 2003. TIR-containing adapter molecule (TICAM)-2, a bridging adapter recruiting to Toll-like receptor 4 TICAM-1 that induces interferon-β. J Biol Chem. 278(50): 49751-49762. Otte JM, Cario E, Podolsky DK. 2004. Mechanisms of cross hyporesponsiveness to Toll-like receptor bacterial ligands in intestinal epithelial cells. Gastroenterology. 126(4): 1054-1070. Palladino MA, Savarese MA, Chapman JL, ve ark. 2008. Localization of toll‐like receptors on epididymal epithelial cells and spermatozoa. Am J Reprod Immunol. 60(6): 541-555. Riccioli A, Starace D, Galli R, ve ark. 2006. Sertoli cells initiate testicular innate immune responses through TLR activation. J Immunol. 177(10): 7122-7130. Rock FL, Hardiman G, Timans JC, ve ark. 1998. A family of human receptors structurally related to Drosophila Toll. Proc Natl Acad Sci U S A. 95(2): 588-593. Sasai M, Linehan MM, Iwasaki A. 2010. Bifurcation of Toll-like receptor 9 signaling by adaptor protein 3. Science. 329(5998): 1530-1534. Sha Q, Truong-Tran AQ, Plitt JR, ve ark. 2004. Activation of airway epithelial cells by toll-like receptor agonists. Am J Respir Cell Mol Biol. 31(3): 358-364. Shang T, Zhang X, Wang T, ve ark. (2011). Toll-like receptor-initiated testicular innate immune responses in mouse Leydig cells. Endocrinology. 152(7): 2827-2836. Shi Z, Cai Z, Sanchez A, ve ark. 2011. A novel Toll-like receptor that recognizes vesicular stomatitis virus. J Biol Chem. 286(6): 4517-4524. Smith Jr MF, Mitchell A, Li G, ve ark. 2003. Toll-like receptor (TLR) 2 and TLR5, but not TLR4, are required for Helicobacter pylori-induced NF-κB activation and chemokine expression by epithelial cells. J Biol Chem. 278: 32552-32560. Szretter KJ, Samuel MA, Gilfillan S, ve ark. 2009. The immune adaptor molecule SARM modulates tumor necrosis factor alpha production and microglia activation in the brainstem and restricts West Nile Virus pathogenesis. J Virol. 83(18): 9329-9338. Takahashi K, Shibata T, Akashi-Takamura S, ve ark. 2007. A protein associated with Toll-like receptor (TLR) 4 (PRAT4A) is required for TLR-dependent immune responses. J Exp Med. 204(12): 2963-2976. Takeuchi O, Kawai T, Sanjo H, ve ark. 1999. TLR6: A novel member of an expanding toll-like receptor family. Gene. 231(1-2): 59-65. Tang SC, Arumugam TV, Xu X, ve ark. 2007b. Pivotal role for neuronal Toll-like receptors in ischemic brain injury and functional deficits. Proc Natl Acad Sci U S A. 104(34): 13798-13803. Winnall WR, Muir JA, Hedger MP. 2011. Differential responses of epithelial Sertoli cells of the rat testis to Toll-like receptor 2 and 4 ligands: implications for studies of testicular inflammation using bacterial lipopolysaccharides. Innate Immun. 17(2): 123-136. Yamamoto M, Sato S, Hemmi H, ve ark. 2002. Essential role for TIRAP in activation of the signalling cascade shared by TLR2 and TLR4. Nature. 420(6913): 324-329. Yamamoto M, Sato S, Hemmi H, ve ark. 2003. TRAM is specifically involved in the Toll-like receptor 4-mediated MyD88- independent signaling pathway. Nat Immunol. 4: 1144-1150. Yang Y, Liu B, Dai J, ve ark. 2007. Heat shock protein gp96 is a master chaperone for toll-like receptors and is important in the innate function of macrophages. Immunity. 26(2): 215-226. Yarovinsky F, Zhang D, Andersen JF, ve ark. 2005. TLR11 activation of dendritic cells by a protozoan profilin-like protein. Science. 308(5728): 1626-1629. Zarember KA, Godowski PJ. 2002. Tissue expression of human Toll-like receptors and differential regulation of Toll-like receptor mRNAs in leukocytes in response to microbes, their products, and cytokines. J Immunol. 168(2): 554-561.